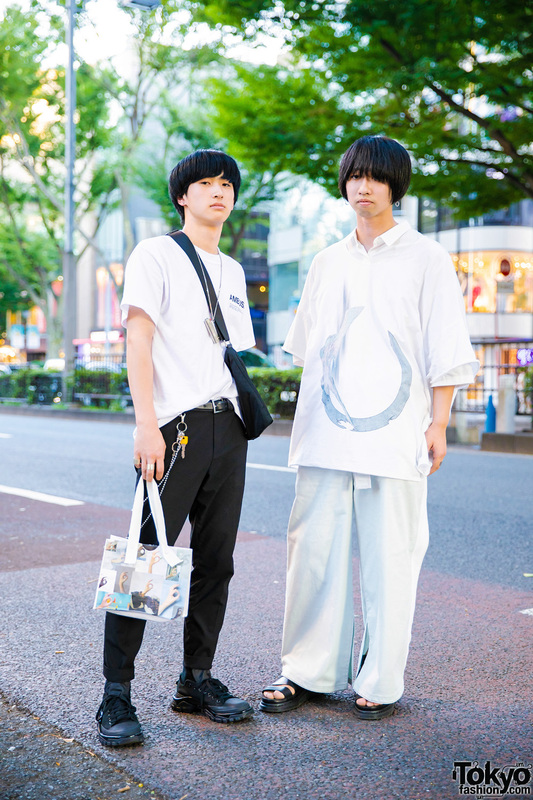 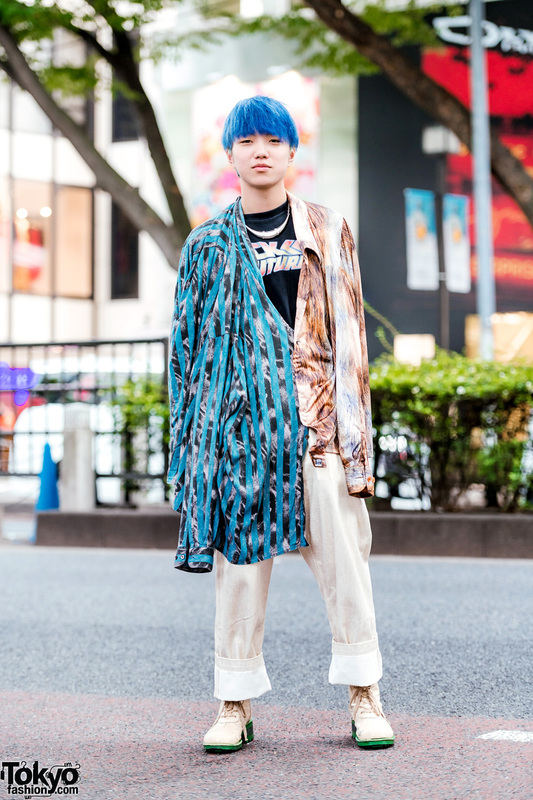 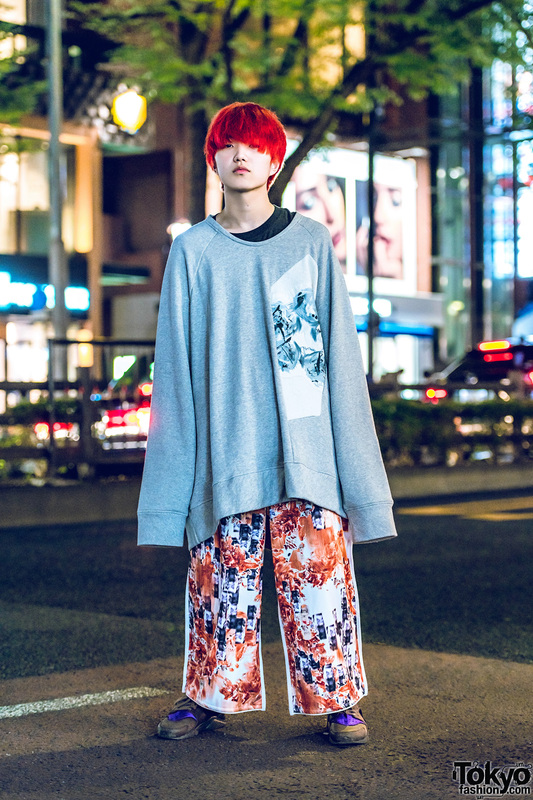 Japanese student wearing an oversized sweater and printed pants in Harajuku. 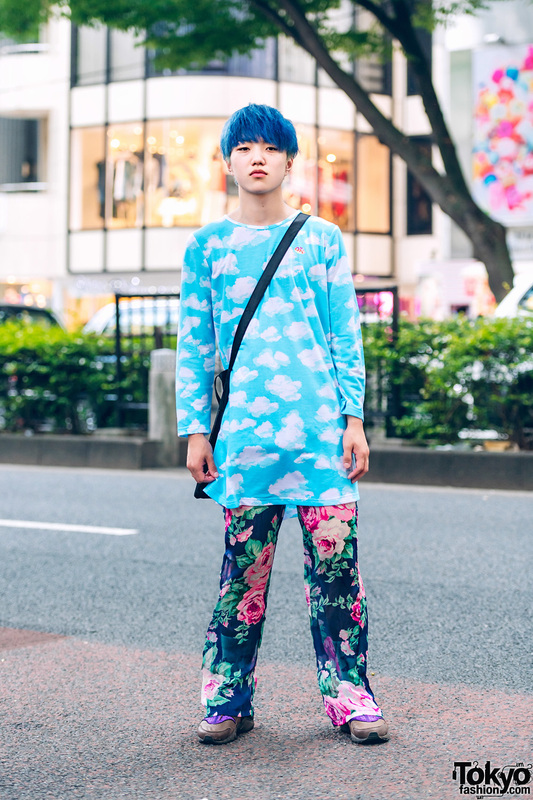 Green-haired Harajuku guy in monochromatic streetwear. 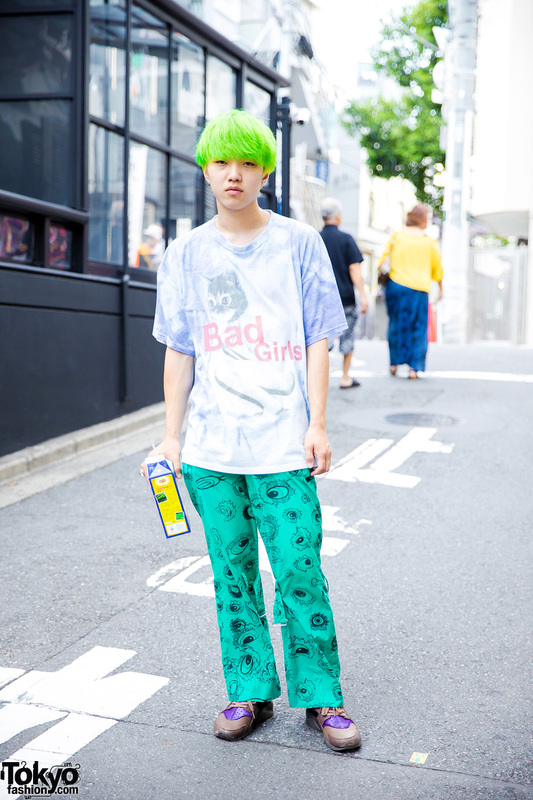 Japanese student with green hair and green printed pants in Harajuku. 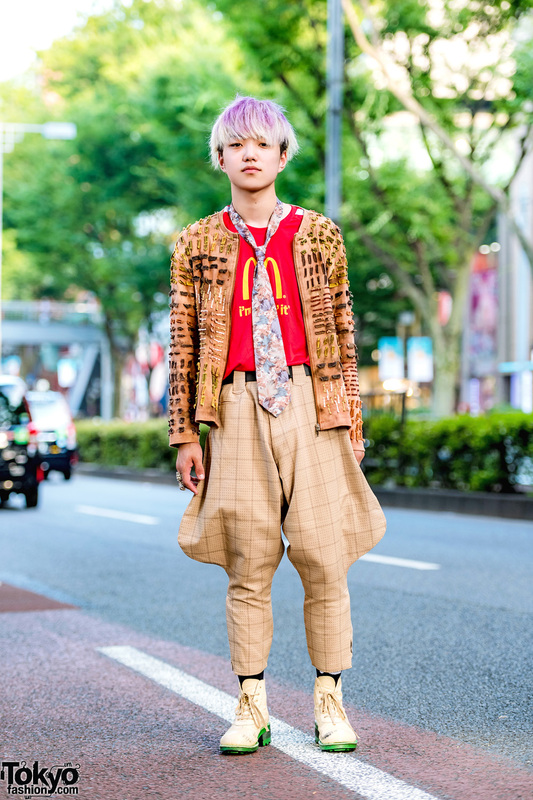 Ombre-haired Japanese teen in collarless jacket, McDonald’s t-shirt with necktie, jodhpur pants, and lace up boots. 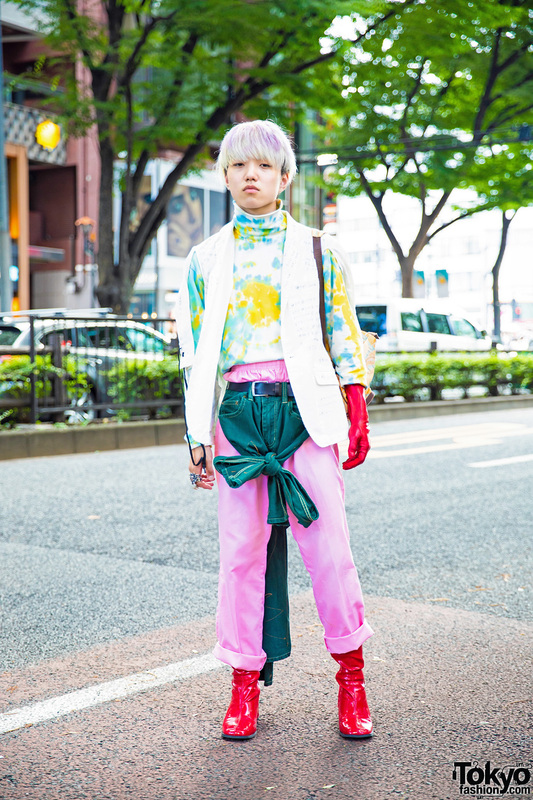 Blond-haired Harajuku guy in handmade and vintage street fashion.